One of my favorite "It Girls", Rebecca has stellar style and runs the site, Big Things. 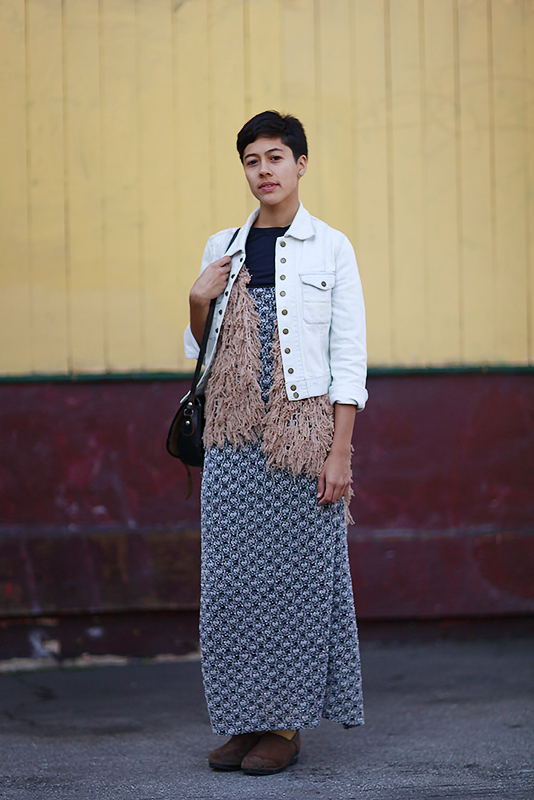 "Today this outfit is inspired by texture. I got this vest from Metier and this denim jacket is from and friend. When I'm in San Francisco, I like to be cozy. So texture and being cozy."